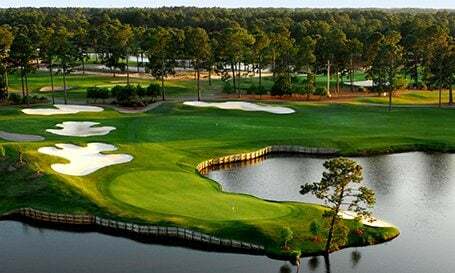 Receive $100 Gift Card with this originative 4 round package with a choice of 22 Prime Times signature courses, like MBN King's North, TPC Myrtle Beach, Pine Lakes, Pawleys Plantation & more! A foursome on this Stay & Play offer receives a room discount of up to $160, plus a FREE breakfast! Enjoy this $120 value on a 3-night stay! A longer stay receives even greater savings! $100 Rewards Cards redeemable towards merchandise, food, and beverage items.